2016 Subaru LEGACY - It’s comfortable, sporty, efficient, and protective. This car holds its composure with its AWD, and advanced safety features. Gaining the IIHS Top Safety Pick for 8 YEARS running! 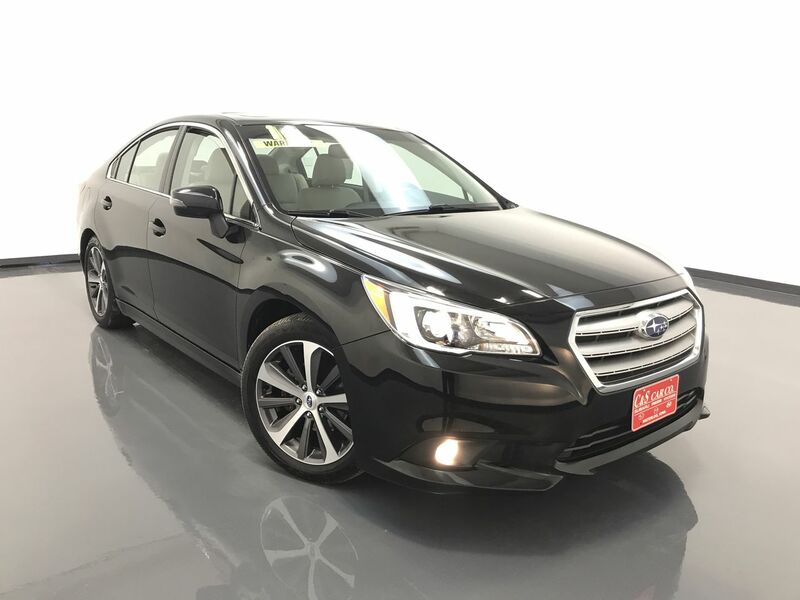 This LEGACY 2.5i LIMITED has a leather interior with four heated seats, power assisted front seats, and a 2 person memory for the driver's seating position. There is keyless entry and ignition, dual climate controls, a sunroof, wood grain interior accents, all-weather floor mats, a trunk/cargo liner, steering wheel mounted paddle shifters, blind-spot detection, and a back-up camera. The infotainment system has navigation, an AM/FM/CD sound system, Bluetooth connectivity and XM satellite radio. The exterior features 18" alloy wheels with Goodyear tires. It’s Subaru. ** One Owner ** Call C & S Subaru at 319-291-7321.